According to Readers’ Choice Awards 2015 conducted by luxury and lifestyle travel magazine, Condé Nast Traveler, Palawan, Philippines was again chosen by their readers as number one among the best Islands in the world. In the survey, readers of the said magazine ranked the best islands for them from the Caribbean to Southeast Asia and Palawan got the first spot with an overall rating of 85.937. Palawan is an island province in the MIMAROPA region, it is the biggest province in the Philippines in terms of total area of jurisdiction which extends from Mindoro to Borneo. It is made up of Palawan Island other surrounding islands including; the Calamianes Group of Islands (Busuanga Island, Coron Island and Culion Island), Durangan Island (Dulangan), Balabac Island, and Cuyo Islands in the Sulu Sea. Its capital, Puerto Princesa City is also one of the new seven natural wonders of the world. While El Nido-Taytay Managed Resource Protected Area is the biggest marine sanctuary in the country. Other Philippine Islands who made it to the Top 20 are; Boracay which landed on the 15th spot with an overall rating of 80.856 and Cebu ranked #19 with an overall rating of 80.404. 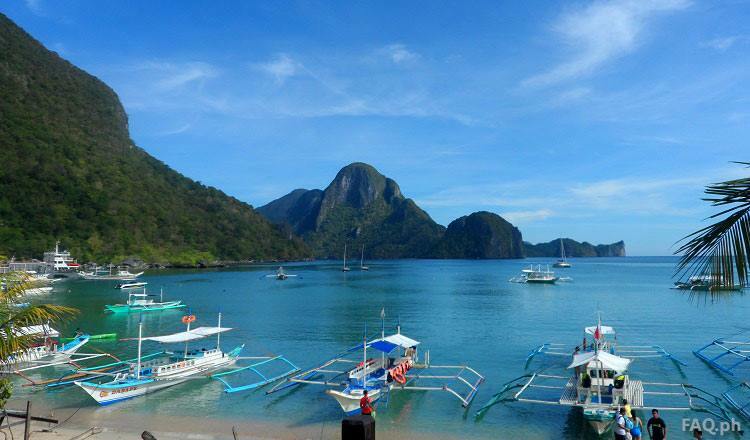 Palawan also claimed top spot last year based on over 76,000 votes in Conde Nast Traveler. This survey just proves that the Philippines is truly blessed by nature. We Filipinos should do our part in preserving this beauty. Surely more tourists would flock in the island for a chance to visit the best island in the world. There’s good and bad effect about this, though. The good side is more tourists would come to our country, more tourist means more chance of employments for the locals and more income to the government. The bad side is the more people who would visit, the more garbage they leave behind which could sooner or later ruin this island paradise. It is up to the local officials and other concerned government agencies to make sure that the beauty of Palawan and other islands in the country are well preserved for the next generation to see the same exquisite art made by the hands of Mother Nature.